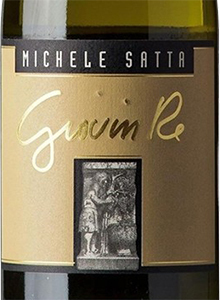 'Giovin Re' by Michele Satta is a pure Viognier and comes from a happy intuition of Michele. The grapes are harvested when fully ripe, and the must ferments in old barriques. The wine ages in wood for 6 months, without carrying out the malolactic fermentation, to then be filtered and bottled. A full and harmonious white. It is enhanced pairing dishes of strong personality, savory and spicy. THE WINE 'Giovin Re' by Michele Satta is a pure Viognier and comes from a happy intuition of Michele. The grapes are harvested when fully ripe, and the must ferments in old barriques. The wine ages in wood for 6 months, without carrying out the malolactic fermentation, to then be filtered and bottled. A full and harmonious white. It is enhanced pairing dishes of strong personality, savory and spicy. THE COMPANY The company was founded in 1983, the year before the foundation of the Bolgheri DOC, of which, in fact, I was among its first protagonists. In 1987, after an initial unstable period (due to leasing and rental issues) I finally formed the initial core of the company; I purchased the best available land and built my cellar. In 1991 I planted my first vineyard with the consciousness of wanting to produce a wine that could be faithful to the wake created by Sassicaia and Ornellaia, but also to my personal vision and experience of the vineyard. Hence, the need to plant alongside the Cabernet Sauvignon and Merlot, grapes that I thought could express even better the Bolgheri Mediterranean terroir; Sangiovese and Syrah. The result was Piastraia that with harvest 2012 and after more than 15 years of its first bottling (the first label dates to 1994), was promoted with the mention "Bolgheri Superiore". So this wine is placed in the short but illustrious history of Bolgheri, not only as a pioneer, but as my conscious identity of the denomination. Besides Piastraia and the Bolgheri classics, including the other Superiore "I Castagni" cru of the vineyard bearing the same name, I decided to produce wines purely expressing their individual grape varieties: "Cavaliere", 100% Sangiovese; "Syrah" 100% Syrah and "Giovin Re", 100% Viognier. Definitely, countertrend, I gained the reputation of being an original wine producer in Bolgheri, and that of an explorer. I was the first to bring Syrah, Teroldego and Viognier to this land and to vinify wines 100% Vermentino and 100% Sangiovese. 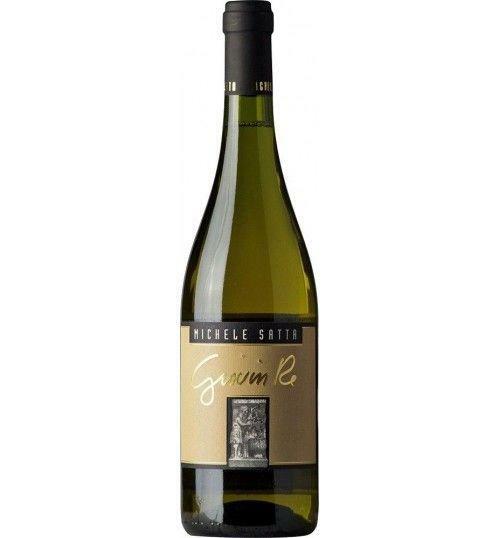 What is most important for me, it is to express the uniqueness of this fascinating product that comes from a very specific region, from a specific vineyard and from a man who is connected with them. In this family company, with a stable size of 23 hectares, currently I produce 150,000 bottles obtained from our own grapes. Tasting Color: golden tone. Bouquet: notes of ripe fruit and floral hints and light spicy touches. 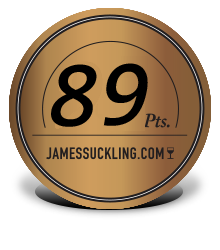 Taste: full body, harmonious, with a sip that moves in perfect taste-olfactory balance. The company was founded in 1983, the year before the foundation of the Bolgheri DOC, of which, in fact, I was among its first protagonists. In 1987, after an initial unstable period (due to leasing and rental issues) I finally formed the initial core of the company; I purchased the best available land and built my cellar. In 1991 I planted my first vineyard with the consciousness of wanting to produce a wine that could be faithful to the wake created by Sassicaia and Ornellaia, but also to my personal vision and experience of the vineyard. Hence, the need to plant alongside the Cabernet Sauvignon and Merlot, grapes that I thought could express even better the Bolgheri Mediterranean terroir; Sangiovese and Syrah. The result was Piastraia that with harvest 2012 and after more than 15 years of its first bottling (the first label dates to 1994), was promoted with the mention "Bolgheri Superiore". So this wine is placed in the short but illustrious history of Bolgheri, not only as a pioneer, but as my conscious identity of the denomination. Besides Piastraia and the Bolgheri classics, including the other Superiore "I Castagni" cru of the vineyard bearing the same name, I decided to produce wines purely expressing their individual grape varieties: "Cavaliere", 100% Sangiovese; "Syrah" 100% Syrah and "Giovin Re", 100% Viognier. Definitely, countertrend, I gained the reputation of being an original wine producer in Bolgheri, and that of an explorer. I was the first to bring Syrah, Teroldego and Viognier to this land and to vinify wines 100% Vermentino and 100% Sangiovese. What is most important for me, it is to express the uniqueness of this fascinating product that comes from a very specific region, from a specific vineyard and from a man who is connected with them. In this family company, with a stable size of 23 hectares, currently I produce 150,000 bottles obtained from our own grapes.